A great group instruction center or workstation! 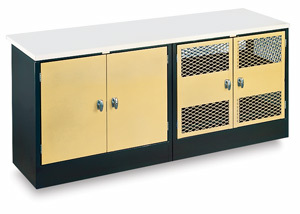 Separate cabinets are joined by an overlaid 1-1/4" thick, moisture-resistant laminated top. The damp cabinet keeps works in progress workable. The drying cabinet dries and protects projects.